Ole Beich (1955 – October 16, 1991) was a Danish musician best known as the bassist for the original lineups of L.A. Guns and Guns N' Roses. Born in the city of Esbjerg, Beich, in his youth, achieved a degree of fame amongst local musicians and fans. He played guitar with several Danish bands, and recorded an album in 1979 with a band called Rock Nalle & The Flames. He was also a member of Mercyful Fate for a brief time, before deciding to move to Los Angeles in pursuit of a career in music. L.A. Guns were first formed in 1983 by guitarist Tracii Guns. The first lineup included singer William Bailey (who would later change his name to Axl Rose), Beich and drummer Rob Gardner. Bailey would leave the group to front Rapidfire before going on to form Hollywood Rose with Izzy Stradlin and Chris Weber. Singer Michael Jagosz was brought in to replace Rose with the group recording the only material by the current incarnation of L.A. Guns. The material would be released as a bonus disc, titled Collector's Edition No. 1, with the compilation album Hollywood Raw in 2004. Following Tracii Guns' decision to put L.A. Guns on hold to join recently reunited Hollywood Rose (who had disbanded the previous year), replacing Weber, Hollywood Rose eventually changed their name to Guns N' Roses (combining the names of L.A. Guns and Hollywood Rose) with the lineup composed of Axl Rose, Tracii Guns, Izzy Stradlin, Ole Beich and Rob Gardner. 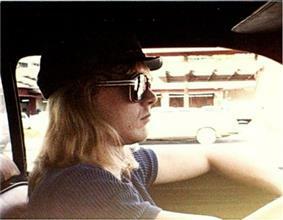 Beich played one show in early 1985 before quitting the group and was eventually replaced by Duff McKagan while Guns left the group being replaced by Slash. McKagan went on to book shows taking place between Sacramento and Seattle, which was dubbed "The Hell Tour". During this time, Gardner quit the group and was replaced by Steven Adler with this lineup becoming known as the "classic lineup" of Guns N' Roses. Beich died on October 16, 1991, drowning in Sankt Jørgens Lake in the center of Copenhagen. Not long before, on August 19, Guns N' Roses had performed in the city. His family believe that he became depressed after leaving Guns N' Roses in 1985 and was heavily abusing drugs before returning to Denmark in 1988. Heroin, and a blood alcohol content of .148, are thought to have contributed to his drowning, but his family still believes it was a suicide. 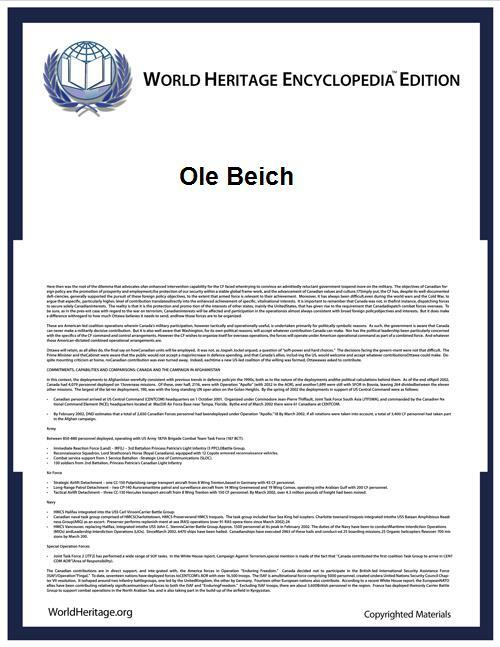 Ole Beich lies buried in Esbjerg next to his father Aksel, who died in 1995. ^ a b c d e Lerch, Otto. "Historien om Ole fra Guns N' Roses". ^ a b c d Stephen Thomas Erlewine; Andrew Leahey. "L.A. Guns Biography". ^ Thore, Kim (June 17, 2010). "Tracii Guns Interview". Uberrock.co.uk. ^ Prato, Greg. "Axl Rose Biography". ^ Danny Sugerman (1991). Appetite for Destruction: The Days of Guns N' Roses. St. Martin's Press. ^ a b c d Rivadavia, Eduardo. "Hollywood Rose Biography". ^ "'"Ex-HOLLYWOOD ROSE Guitarist: AXL ROSE Was 'Very Ego Motivated. ^ Wall, Mick (January 20, 2009). W.A.R. : The Unauthorized Biography of William Axl Rose. Macmillan. p. 65. ^ Slash; Anthony Bozza (2007). ^ Berelian (2005). The Rough Guides to Heavy Metal. Rough Guides. p. 143. ^ a b Slash; Anthony Bozza (2007). ^ Torreano, Bradley. "Duff McKagan Biography". ^ Stephen Thomas Erlewine; Greg Prato. "Guns N' Roses Biography".